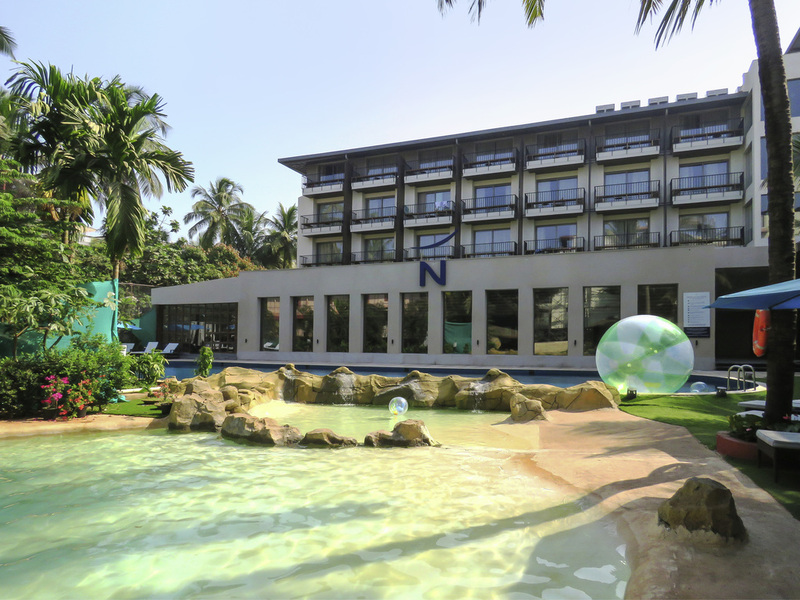 Novotel Goa Shrem Hotel a few minute's free shuttle to the Candolim beach where you can plunge into the thrill of water sports. The Hotel is the right blend of fun, family spirit and well-being. Located on the high energy Candolim Street and sizzling night life of North Goa. The hotel features 149 beautiful rooms and suites with a club wing. Access to 3 pools a waterfall, cozy cabanas, sports zone, gym & our signature 'Family Friday'. The hotel features, 2 bars, 1 all day dining and 24hrs room service. Ideal venue for guests to explore the North Goa as centrally located. Serves global cuisine and regional specialties. Includes interactive live kitchen and wood-fired pizzas with live performance. Serves breakfast, lunch and dinner buffets along with A la Carte Menu. The Little Place (TLP) - Deli Pastry Shop serves delectable cakes and bakes along with cafes, frappes and smoothies. We dedicate ourselves at bringing the a great experience to you at Bar Asia serving up popular snack Burgers, Sliders Bahn Mi Sandwiches, & more. An outdoor pool bar offering refreshing all natural cocktails, private cabanas and soothing lounge music.